Comments: This abutilon can tolerate considerable amount of cold. 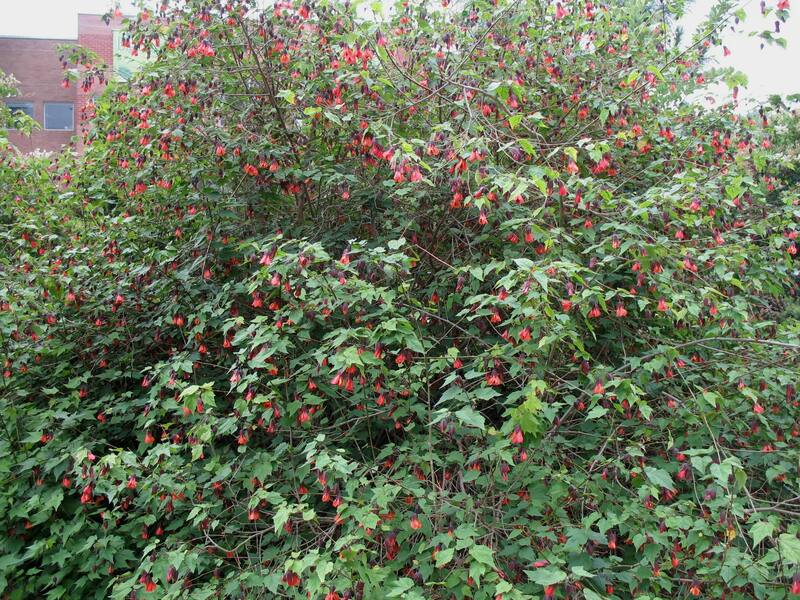 Produces an abundance of red nodding flowers during the warm months of the year. It will grow to become a large shrub as seen in the images above that were taken at the Atlanta Botanical Garden.